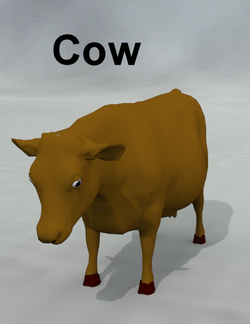 Cow is a figure of a cow, more toonish then realistic. It was modeled by Scott Ayers. This page was last edited on 27 May 2018, at 20:46.